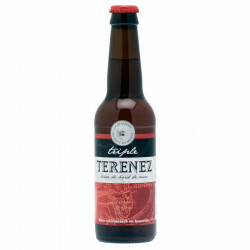 Sweet, round and fruity: three cereals - barley, oat and wheat - are the main ingredients of Triple Terenez. 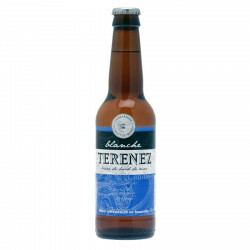 Its legendary sweetness, aromatic complexity and roundness account for its unique taste. This beer is an invitation to travel and is the perfect accompaniment to spicy meals and crepes. A genuine Breton beer ! Perfect served between 8 and 10°, if too cold the beer might lose its flavours. Spain - International Craft Beer Competition in Madrid (CICA) : Grand Gold Medal 2017. Hong Kong - gold medal 2016. France, Lyon - silver medal 2016. Terralies - bronze medal 2015.